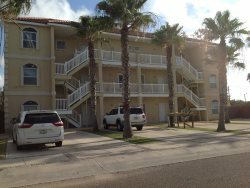 This lovely 3 bedroom 2 bath condo is only half a block away from the beach access. It is nicely furnished & has plenty of space for a large family. It is also located close to restaurants and shops. This is a second floor walk- up and the complex has a small pool. SPRING BREAKERS & YOUNG ADULTS WELCOME! !